Depending on the size of your group we offer multiple options for private dining. We have a new Wyse Hall banquet/meeting room, the penthouse suite of the adjoining guesthouse, the wine shop, and the Sonora Room itself. Please inquire by phone or email for more details. 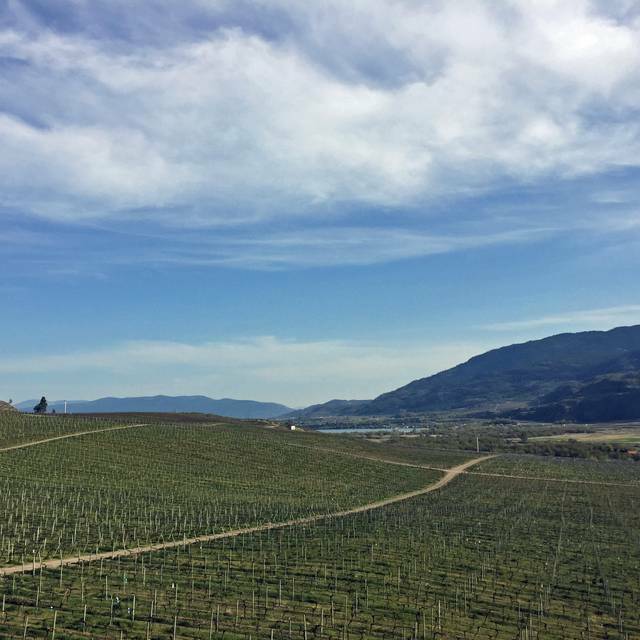 The South Okanagan has gained a well deserved reputation as a desirable destination for tourists seeking an agricultural and culinary experience. 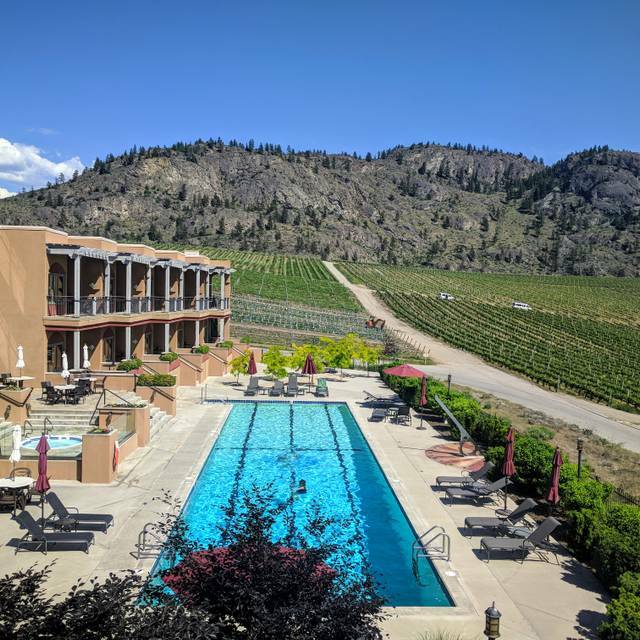 The Sonora Room at Burrowing Owl Estate Winery features prominently in this regard with its epicurean excellence, superb service, relaxed style and scenic splendour. The restaurant overlooks 146 acres of picturesque vineyard from the patio or inside the warm and inviting dining room. 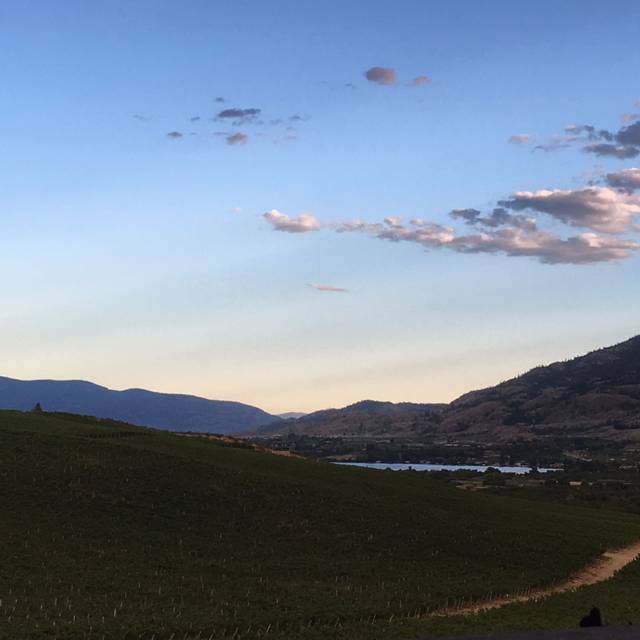 The philosophy of the talented culinary team is to embrace the opportunity to showcase many of the South Okanagan’s local producers. 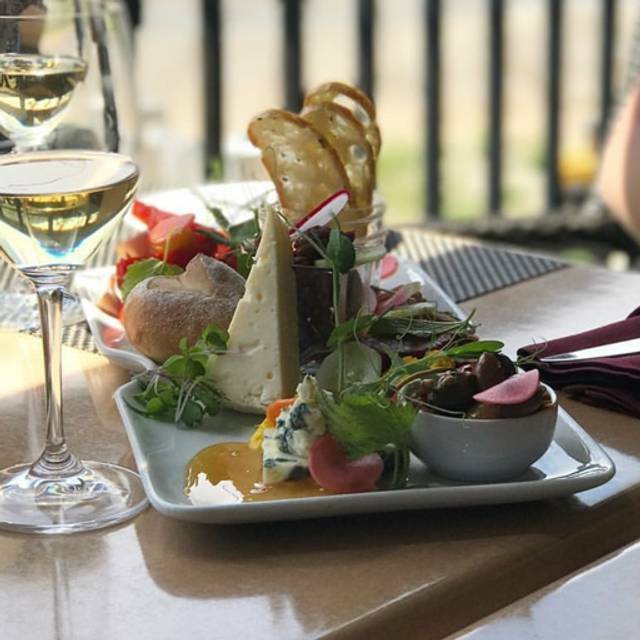 Dishes are created that utilize an array of local organic produce, seasonal fruits and artisan cheeses, and pair perfectly with Burrowing Owl's award winning wines. 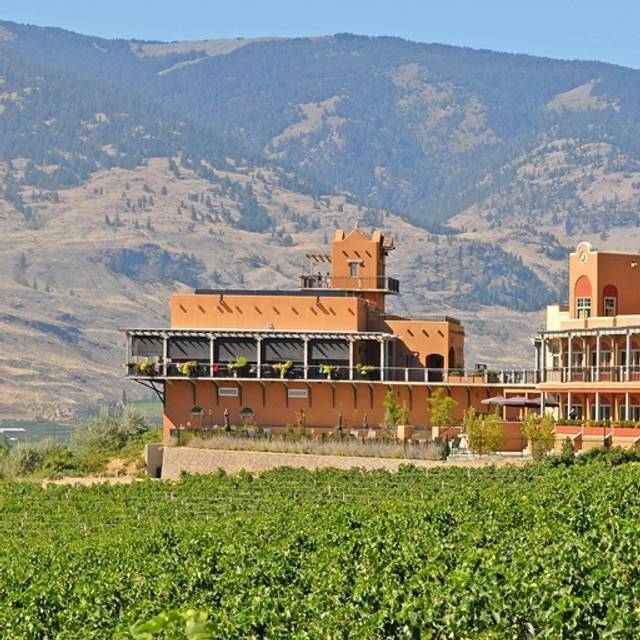 The exclusive wine list includes a selection of Burrowing Owl's current vintages, and library wines that are no longer publicly available for sale. Creative cuisine, impeccable service and a beautiful venue highlight the great agricultural diversity of the region. We had a beautiful evening. Everything was lovely from the ambience, to the food, to the service. Our server (his name escapes but his wife also worked in the restaurant) was outstanding. Made excellent recommendations and was the perfect level of attentive. Loved the 2010 Athene! One of the best meals I have ever had. Truly mouthwatering. Great light lunch and wine pairing. Enjoyed every aspect from the food, wine, view and to the service. Recommend the Charcuterie Board, was delicious! We had a truly wonderful experience from start to finish. I have multiple food intolerances and they were incredibly accommodating...I was even served pre-dinner, gluten-free bread that was house-made and delicious! This was a first; rarely am I offered a gluten-free option and, when I have been, it has never been freshly house-made. The service is phenomenal. We were greeted by a knowledgeable, friendly wait staff who clearly enjoy their work and take pride in their service. We had the ostrich carpaccio to start. It had a marvelous complexity of flavor, delicate texture, and was well seasoned. For entrees we had the beef cheeks in honey-beer sauce and the duck confit with apple chutney and potatoes. Both were very well executed and the flavor profiles elevated both dishes beyond our expectations. Both meats were cooked to perfection; the beef cheeks melted in your mouth and the duck had crispy skin and juicy, tender meat underneath. We split a half-liter of the merlot and were pleased with the depth of flavor and quality. We both pride ourselves on being excellent home cooks and are often disappointed when we eat out as we could often prepare the same meals at a higher quality for much less money. This money, however, was truly well-spent as this meal was well beyond our skill level (as it should be). 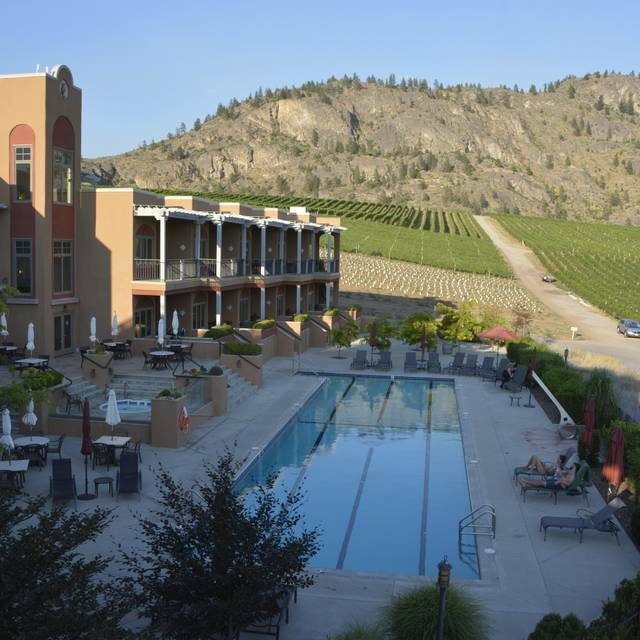 All of this is presented in a beautiful setting with gorgeous views of the valley. I can not recommend this experience enough. Was surprised by the cost of the wines,for a winery. Typically there are a good range of wines and prices at most winery restaurants but that wasn’t the case here. All bottles of reds were over $100.00. Other than that it’s a great restaurant. The food is spectacular! The wine is even more spectacular!! Had the roast chicken with scallops appetizer and it was delicious! Highly recommended the Athene 2014 vintage. Probably the best red wine I have ever had!! Prices are higher than average but the quality of food and wine and service was well with the whole experience. You will not be disappointed. Great for a special occasion or date night. Treat yourself!! Lunch here in the off-season still has a beautiful view, but the menu is a bit limited and as is the case with many wineries that serve only their own wines, the price is out of proportion to the same wine next door at their wine shop. Always impressed with the food , service and wine when dining here. Worth a special trip. enjoy wonderful food, but be able to carry on conversations. The pork belly menu items for lunch were amazing. And they had our favourite wines. And the service was excellent. Everything worked out wonderfully well. First time to Sonora Room to celebrate a birthday. We were very pleasantly surprised by the quiet atmosphere, the great service, the background music, and the tasty and creative food that we were served. Wonderful evening out! Love this restaurant, but as the season closes and traffic dies down, so can quality. Meals were promptly ordered but took forty minutes to get to the table. We were one to two tables in the restaurant. My risotto was cold, which put a damper on the rest of the meal. It was my main. Will return because I know this establishment is better than yesterday's effort. Excellent service even though under pressure due to management not staffing appropriately. We had a excellent dinner at the Sonora Room. Everything was just perfect. The food and service was outstanding. I would highly recommend your Restaurant. Though the location is spectacular and the service was perfect, the food was only just ok. We had squash soup, scallops and pumpkin risotto appetizers, and mains of Arctic Char and Duck. None of these were a “must-have again”. Sorry Sonoma Room but the food did not live up to the venue or the price point. We had a beautiful lunch in the Sonora Room with a window table. We both had the arctic char without the clams and mussels. The chef graciously substituted the braised tomatoes which we both enjoyed. All in all, we had a tasty lunch after so much wine tasting in Oliver. Wonderful food and wines. Great view. Music did not suit atmosphere. It was very pleasant experience...servers were great. We had outside seating and a beautiful fall day 👍. Meal tabs seem to consistent with other vineyards in the valley $$$$ . Absolutely superb dining experience. Extraordinary food, beautifully prepared. We dined there two evenings in a row and both meals were wonderful. I was really looking forward to eating at Burrowing Owl but I was underwhelmed. At least the wine was good. Service lacked the usual attention to detail. Disappointing. 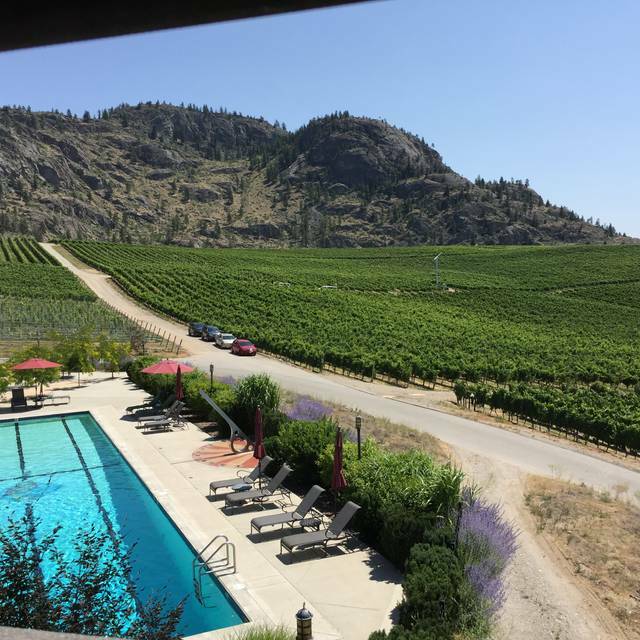 We enjoyed a wonderful meal with excellent service and a beautiful view and delicious wine! A great favourite for us! The meals are always delicious and special, and the service is always friendly and efficient. The winery's excellent wines are available by the glass and pairings are recommended to go with the different dishes. Enjoyed are lunch at Sonora Room Restaurant. View is outstanding, food was delicious and service was Great! The food was outstanding - very creative and wonderfully flavourful. The service was excellent, as was the view. The only negative impact on our experience was the table of 5 beside us who were quite loud, and one guest kept his cell phone notifications 'ring' on so that there was this constant pinging. He never actually looked at his phone, so it was hard to understand why there had to be this continued annoyance. In fairness (and likely because we talked about how annoying it was in more than a whisper), the pinging did stop but we were too late in our experience for it not to have impacted it. Regardless, we will be back to enjoy the spectacular food, wine and view!! I dare you to try the sage cheesecake with the "chutney" sorbet. Everyone's meals looked incredible but my desert choice was suspect. The sorbet was terrible and was the laughing point of our table. When discussed with our server she sheepishly dismissed it saying that many people enjoyed it. Many people also are born without tastebuds or opinions. Everything perfect, but unpleasantly surprised by the large number of flies in the dining room. Restaurant roomy and quiet, allowing for easy conversation and an enjoyable meal. The chicken entree was a bit dry and tasteless, but together with the foie gras that was served with the tenderloin, it tasted great! Ambiance was a bit stuffy and I am not sure why the wine is so expensive when the same bottle is less than half the price only a few metres away in their wine shop? Views are gorgeous over the valley. Amazing food with spectacular scenery and excellent service!!! 1 amuse Bouche. 3 appetizers. 2 mains. 2 deserts. Alllllll excellent flavours, temperatures were good and lovely presentations! Thanks! I was disappointed in the meal and dining room.Very ordinary decor unless warm enough to sit on deck overlooking the vineyard.The meal was priced at the high end for entrees and was really quite boring.The short rib special was without much sauce or interesting spices and the fish was grilled simply with steamed clams on eggplant without anything to bring out the flavour. 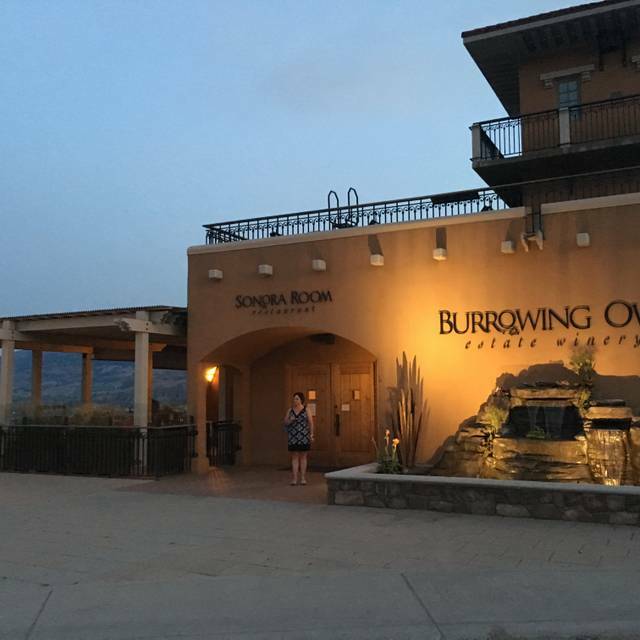 Burrowing Owl Winery is beautiful and the Sonora restaurant is wonderful as well. Food was beautiful, although the pork came in cold, and had to be returned to the kitchen. I believe they just zapped under the microwave, so dried it out even a bit more. It was okay but we were charged fully and quite frankly my meal was mostly gone by the time my partners plate came back. My fish was very good though. They could have offered us a free glass of wine or desert, but no they charged us fully and the prices are high here. A bit of disappointment for us as I would have gone back, if properly dealt with. There are many other restaurants that meet the challenge better. Disappointing! Expected a better dining experience from a reputable winery restaurant. Pumpkin risotto with shrimp was tasty. Seared scallops was very good but over powered by the olives and capers. Arctic char was decent, part was perfect while part was over cooked, the mussels and clams were a bit fishy, didn't seem fresh. Venison was undercooked, piece that were eaten were good. Our choices were all delicious and beautifully presented. We came from England and Rossland to celebrate my daughter’s birthday and were not disappointed - made my choice on the recommendation of the Canadian Defence Attache in the U.K. who I met in Edinburgh at the Royal Edinburgh Military Tattoo . What a great choice. Our waiter was excellent, friendly and attentive. Thank you for a great dinner! Wait Person rather condescending . Good food bit on the expensive side considering small portion size, especially 3 Scallop Appetiser. Lovely view makes it worth visiting. Love taking friends here, never disappoints ! Very good quality food with a fantastic wine list. This winery is a favourite of mine. 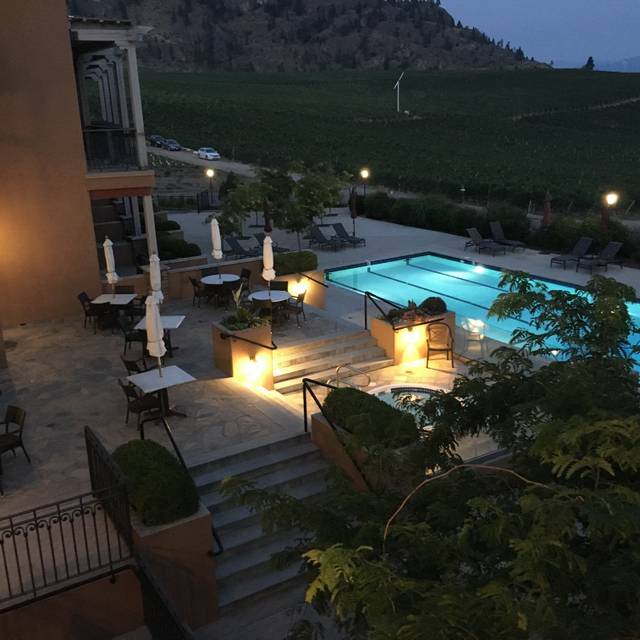 The view and ambiance of the outdoor balcony overlooking the vineyard is lovely on a warm evening. The waiter we had was very skilled and friendly, setting just the right tone. This was the last night of a vacation of travel and a great culinary experience with delicious wine.